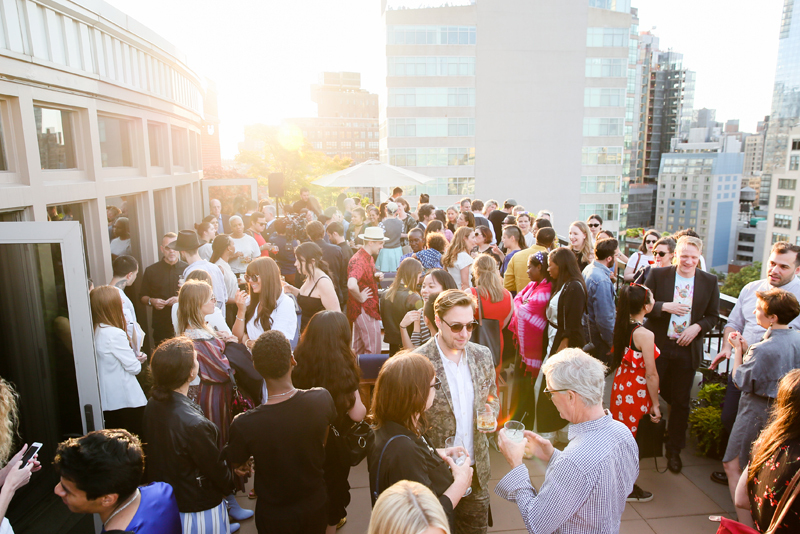 Each year, the CFDA Lexus Fashion Initiative brings together leaders in sustainability to mentor five brands while inspiring commitment to transformative leadership, sustainable innovation and positive change in the fashion industry. After nine months of education and mentorship, the Initiative’s winner, Studio 189, was announced on Tuesday night in Soho. The brand was celebrated alongside five other finalists including Cienne, St. Roche, Whit, and M. Patmos. 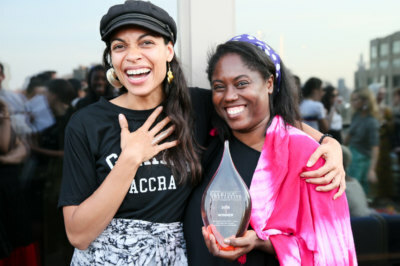 First place winners Abrima Erwiah and Rosario Dawson of Studio 189 (shown above) received $80,000 in prize money, while Cienne’s Nicole Heim and Chelsea Healy were also applauded for their progress and awarded $10,000 to continue to prioritize sustainability in their company. While there were technically only two winners, each of the five finalists participated in a robust training program that included a visit to the Eileen Fisher factory, a NYU course on sustainability, a trip to Copenhagen to visit the Copenhagen Fashion Summit, and a one-on-one with Stella McCartney. Participants learned how to navigate fashion’s complex supply chain and make informed and strategic decisions about design and business using a triple bottom line approach that values people, planet, and profit holistically. Nest also acted as a mentor to each of the five finalists, delivering expertise on how to source responsibly and sustainably with global artisans. Earlier this year, Nest visited designers at the CFDA headquarters to share strategies for bringing beautiful handcrafted collections to market, sharing insights and insider tips on how to ensure smooth communications, timely deliveries, and high product quality while also supporting the unique needs of handworkers. At the Nest-led workshop, designers also learned about the need to practice cultural sensitivity as well as to put concerted effort into learning the intricacies of a particular craft technique, so so as to design into it most successfully. Two finalists—Cienne and St. Roche—are also Nest Artisan Advancement Partners. The partnership works to create more opportunities for craftspeople to thrive in the contemporary fashion industry, and both designers have been connected with artisan vendors as a part of their membership. Other finalists, M Patmos and Studio 189, participate in the Nest Guild, a network of more than 450 artisan businesses spread out across over 72 countries. Guild membership ensures that these brands have access to business development support aimed at helping them to scale the capacity of their artisan operations.